Did you know there was once a molasses flood in Boston? A five-story high molasses tank exploded on an unusually hot day in 1919 and surged through the North End, destroying a fire station and leaving a path of sticky destruction in its wake. Some say that when the weather is really warm, you can still smell the molasses on the city streets almost 100 years later. I was fascinated by the molasses flood as a kid and did a report on it in elementary school. I think that was the last time I thought about molasses, though, because I almost never cook with it. But, while making a failed batch of pumpkin bread over the weekend, I ran out of honey and needed another sweetener. The molasses in the back of my cupboard seemed like just the thing, and it was (the pumpkin bread only failed because I asked Ben to watch it for me, and it ended up baking for almost three hours). 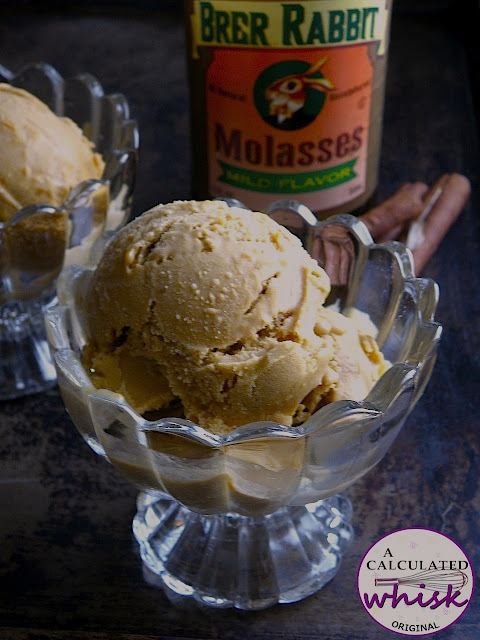 Molasses has a spicy flavor that goes really well with pumpkin, and contributes to this ice cream’s rich orange color. I did a little research and there seems to be some debate as to whether molasses is truly paleo, but I’m sure that this ice cream would still be delicious if you added more honey instead, or even tried maple syrup. This ice cream is perfect for my current state of mind, because I’m excited about fall and all things pumpkin, but not completely ready to let go of summer. It’s still warm enough for me to work up a sweat walking back home from the train, and this ice cream was the best after school snack once I arrived. Make it quick before the weather gets colder! 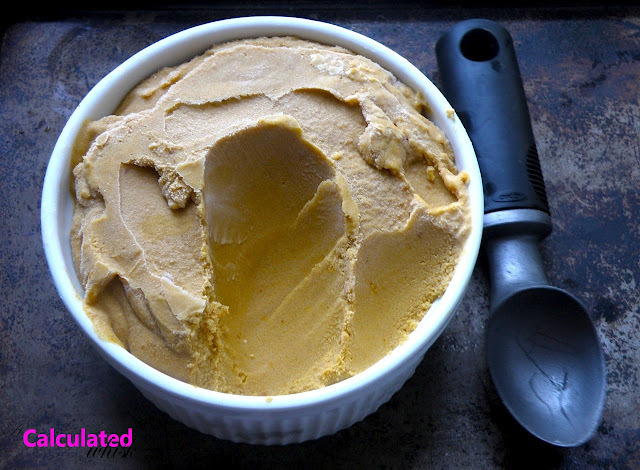 *If you have a one-quart ice cream machine, this recipe will not fit. You can try halving the recipe or freezing the ice cream in two batches. Combine all the ingredients in a large bowl, whisking well to break up any lumps of pumpkin. 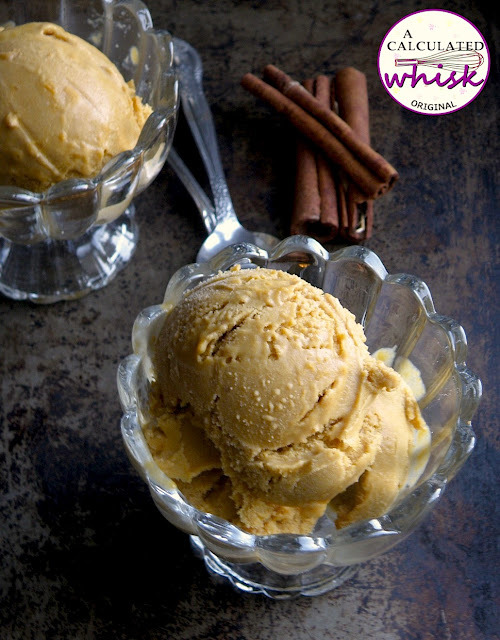 Chill in the refrigerator until cold, whisk again, then freeze according to your ice cream maker’s instructions. Store the ice cream in an airtight container in the freezer, and let it soften at room temperature for about 15 minutes before scooping. This recipe is okay to eat during the autoimmune protocol. I’ve shared it on Phoenix Helix’s AIP recipe roundtable—check out that post and blog if you’re looking for more delicious AIP eats. Do you need an ice cream maker to make this? CARE TO SPECIFY WHY? MIGHT BE HELPFUL FOR OTHER READERS. Thanks, Eileen! I'll be sure to stop by again :). Definitely a fan of all things pumpkin! How could this be wrong! Thanks for sharing! Cant wait to try it! 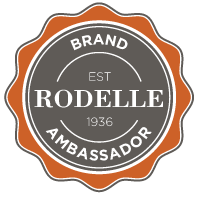 Thanks, Jacquie and Monica! Let me know what you think! Delicious! My kids loved helping me make this. Always looking for healthy holiday treats. Thank you! I'm so glad you and your kids enjoyed it! Thanks so much for reading! Sorry, but honey is not vegan. Thank you! I don't love cold weather, but fall flavors are the best!